"Anne Akiko Meyers is the coolest thing to happen to the violin since Stradivari." 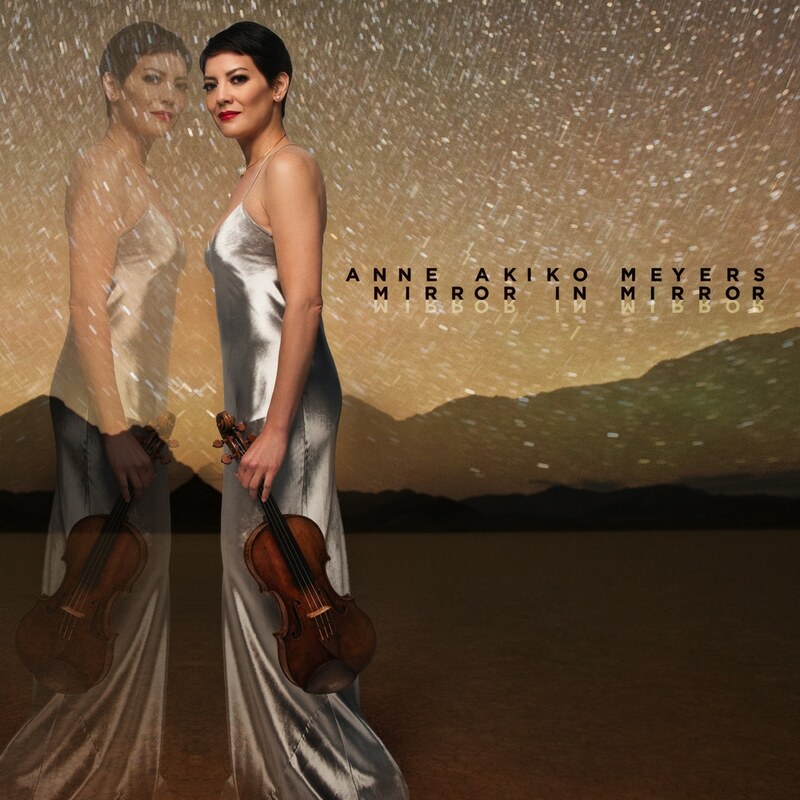 "Anne Akiko Meyers is one of the most adventurous soloists on the international scene today." "Playing that flows from the heart." Superstar violinist Anne Akiko Meyers is one of today's most in-demand classical performers. A Billboard Top Selling Classical Instrumentalist of the Year, she is beloved by audiences around the world, with a reputation for innovative programmes and ground-breaking commissions. Mirror in Mirror marks her 36th studio album and is her most personal project to date. With the exception of Ravel, Anne collaborated with all of the composers and arrangers on this album. Several of the works were written for her. The music is reflective and spiritual, and weaves a compelling story. Philip Glass' Metamorphosis II is heard in an arrangement commissioned by Anne. The original version inspired Fratres by Arvo Part, whose Spiegel im Spiegel (Mirror in Mirror) provides the album's title. John Corigliano's Lullaby for Natalie was written to commemorate the birth of Anne's first daughter. Anne has commissioned numerous works by Jakob Ciupinski who combines acoustic instruments with electronics in Edo Lullaby - a modern setting of a traditional Japanese melody that Anne recalls from her childhood - and Wreck of the Umbria which conjures the composer's dive and discovery of the ship off the coast of Sudan. Ciupinski contributes electronics to Ravel's Tzigane, re-creating the sound of the original version's lutheal. The album is capped by another Anne commission - the premiere recording of Morten Lauridsen's own arrangement for violin and orchestra of his most famous choral composition, O Magnum Mysterium.